A young girl has been left in tears after she was bullied for shaving her head for the World’s Greatest Shave fundraising campaign. Kyarah Doyle, 12, from Inverell in northern NSW, decided to shave her head for the Leukaemia Foundation World’s Greatest Shave on Thursday. Her mum Jessica Smith told Yahoo7 “words can’t explain” how proud she is of Kyarah. “I’m absolutely over the moon,” Ms Smith said. 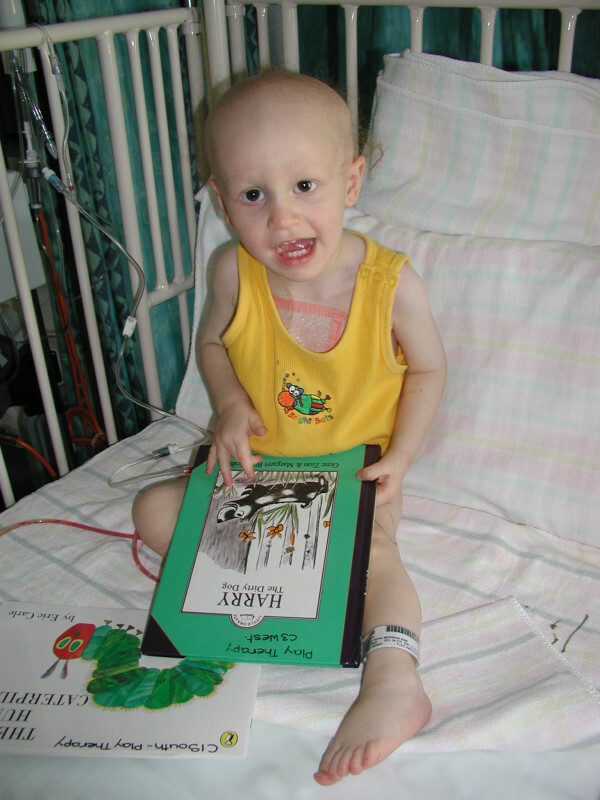 “Leukaemia is always something which has been close to my heart. I lost a high school friend to it. The 12-year-old had her brown locks shaved off and has raised nearly $800 for the charity. But while her mum said her daughter was “selfless” for having all her hair cut off, fellow students at Inverell High School decided to taunt Kyarah when she returned to school on Monday. Kyarah came home from school on Monday in tears and her mum is heartbroken. “She was badly bullied,” Ms Smith said. “She’s devastated and feels like she’s done the wrong thing. She shaved all her beautiful hair off and now she’s being targeted at school. Kyarah said she’s still “really upset” and spent Tuesday at home with her mum. “There was a group of girls laughing about it,” she said. A school spokesperson said Kyarah didn’t tell staff about comments directed at her and students are encouraged to report bullying. “Bullying is not tolerated at Inverell High School,” the spokesperson said. Share your comments below and show your support for Kyarah. Well, I hope those girls are appropriately shamed. Bless your heart Kyarah ! Don’t doubt your choice, the bullies don’t know anything about beauty and a compassionate heart. They can learn from you !! Kyarah, you are a beautiful girl inside and out and you are just amazing. Wow, goon on you Kyarah, what a brave girl you are. She looks so much more mature with her hair shaved off! Well done Kyarah. You are truly an inspiration. I believe all bullying comes from a place of envy and jealousy and imagine the girls bullying you would never ever consider such a selfless act for charity. I do believe in this instance your Mum needs to speak to the school with you and this needs to be dealt with. Anyone that would bully for any reason, let alone this one, needs to be spoken to and pulled up. Go Kyarah. Your family should be so proud of you. I can’t believe she would be bullied for doing such a selfless thing. Kids can be so mean these days or maybe it was always there and no-one noticed. 26th March is Purple Day – Epilepsy Awareness Day. There is some functions on in some states. Others were held during the weekend so more people can attend. People are so cruel, why are they so mean! Makes you wonder what those kids parents have been teaching them for them to be so heartless. Anyone can see that she shaved her hair for a good cause and even if she didn’t, who are they to dictate how a person chooses to look. If someone wants to shave their hair that is up to them and they shouldn’t be bullied about how they look. AN awful outcome for such a good cause. My dad has leukeamia and I was never allowed to shave my head to raise money for it. It’s a cause close to my heart and we found other ways to raise money. I think as a parent, you really need to be careful what you allow your child to do, even if it’s for a good cause. There will always be ramifications for something like shaving your head because as adults, we all know that other kids can be mean and insensitive. I hope she will realise how brave she was and that those girls aren’t her real friends. That’s just awful. Kids are so mean. Such a brave thing to do. The bullying is terrible but if it’s not reported to the school they can act. It does need to be addressed – bullies and bullying behaviour has no place in schools, work places and other areas of life – everyone has to be vigilant and to stop it! When I saw the photos of Kyarah, my first though was how beautiful she still looked with her hair shaved off – then I read the story. The girls who were bullying/taunting her, are unable to do the brave thing Kyarah has done and probably wouldn’t have been able to raise that much money as bullies usually don’t have friends that would donate – and I bet they wouldn’t look as pretty as she does either. They certainly wouldn’t have the confidence that Kyarah had in herself to do this in the first place. Hold you head up for being such a wonderful person. Kyarah, it’s girls like you who are the beautiful ones! Reading your story made me teary, because you deserve to feel amazing and proud. My son had Stage 3 cancer as a toddler, thankfully he survived and is now a teenager, but it’s only because of people like you that money is raised for research. I know how hard it is to have your hair shaved, as I did the same thing about 14 years ago, shaved all my hair off for the World’s Greatest Shave. I felt embarrassed at first stepping outside, but soon I got used to it and had my head held high, and I knew I was lucky as my hair would quickly grow back, unlike those who go through chemotherapy. Be proud of yourself and ignore the bullies! She’s an absolute legend. Kids are awful!